Jumping the Broom | All About Jewelry! Very recently, jewelry designer Heather Moore has taken her personalized jewelry to the next level with a bridal line that includes engagement rings and classic or personalized men’s and women’s stamped bands. 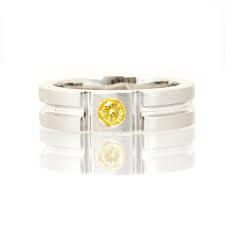 These rings are available in 14- and 18-karat yellow, rose and white and green gold, as well as palladium and sterling silver. 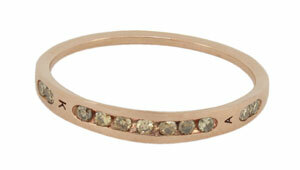 White, cognac, yellow, black, and pink diamonds would also be incorporated into the designs. Tentative price points starts at $600 and, depending on the diamond size, can reach upwards of $7,000, with an average price point of $3,000. “The bridal line was inspired by the fact that over 12 of my employees have gotten married in the last year, and there are about four more down the pipe,” Moore said. “The conversations around the office in the studio are so fun because everyone is talking about weddings, organizing them, creating a new, defined family … all the love that surrounds those comments is so adorable. The bridal line launched at the Couture show, took place at an exclusive poolside party held at the Wynn Las Vegas, and the designer said that a lot of her current retailers have already agreed to take on the collection. 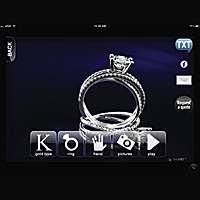 What has drawn many retailers is the bridal line’s mix of personalized and non-personalized jewelry which creates options that complement each other. 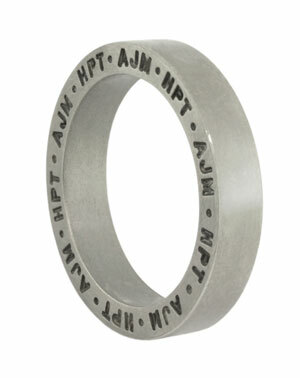 Some of the rings are sold as is while others can be customized with two initials or a date. Some pieces have the full option of personalization, where customers can fill in the blanks. 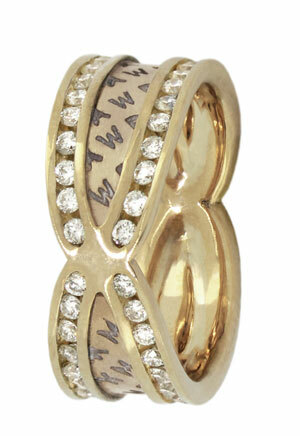 Every now and again, I like to feature well known industry jewelers that never loose a love for the art of jewelry. Today’s featured jeweler is Oscar Heyman, for those who don’t know who they are Ive taken the liberty of writing a brief history of the group of brothers and how they came about from their humble beginnings. Followed by images of some of their most magnificent pieces which I personally find appealing. Oscar Heyman’s humble beginnings started with their founding brothers who were trained in the rigorous workshops of one of the industry leaders at the time of Fabergé. Prior to leaving Eastern Europe for New York in 1906 they dreamt of a life of great insurmountable success. Just a few years later three brothers, Nathan, Oscar and Harry got together and started in 1912, what is known a great jewelry company Oscar Heyman. Equipped with their ratified skills, abiding passion for gemstones and an old world approach to gracious customer service, their course was set for them to succeed as a team. As it has always been, the Heyman Family has run their company flawlessly for three generations, with each generation imparting centuries old skills and technical know-how to the next. Today, members of the second and third generation work side by side with dedicated and skilled employees who continue to create jewelry of the highest standards for connoisseurs, celebrities, and dignitaries around the globe. 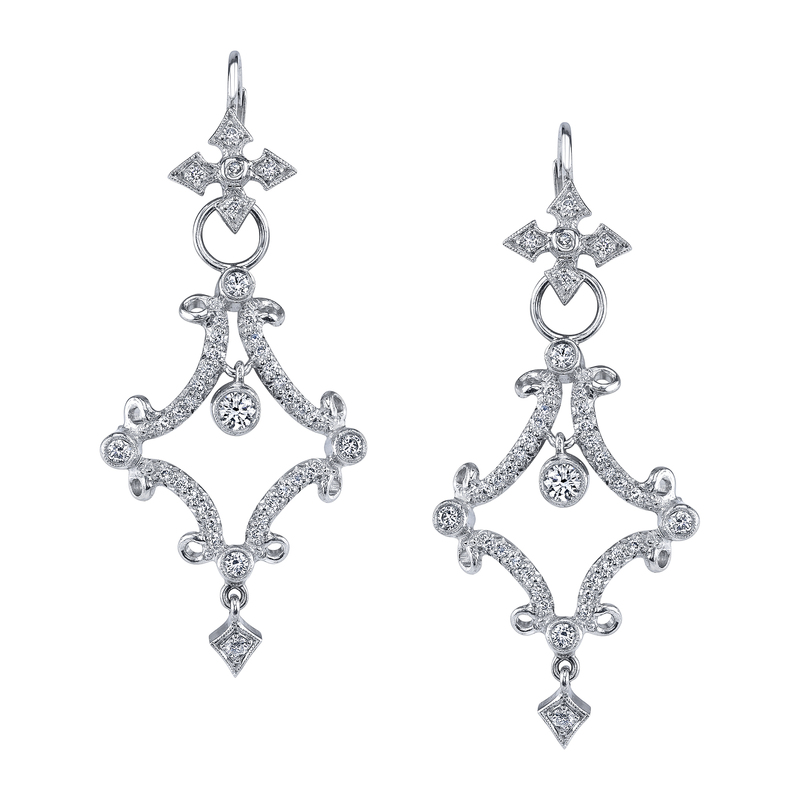 With such a high standard for their craft, its not wonder that they will continue to provide breath taking jewelry for the twenty-first century and beyond. 246 ROUND FANCY COLOR DIAMONDS 6.64 cts. 125 ROUND DIAMONDS 3.9 cts. Beautiful Brooch which can be acquired here. 156 ROUND FANCY COLOR DIAMONDS 2.09 cts. 88 ROUND DIAMONDS 1.82 cts. 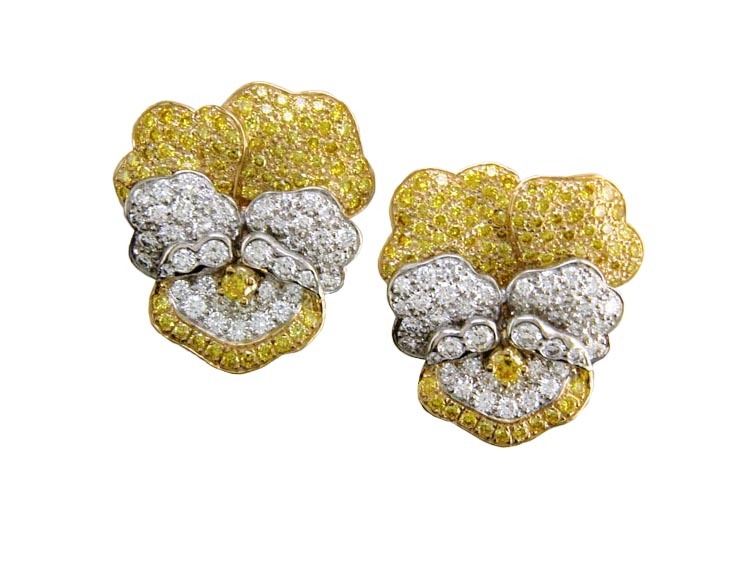 Delicious gold and platinum pansy earrings which can be acquired here. 192 ROUND FANCY COLOR DIAMONDS 7.21 cts. 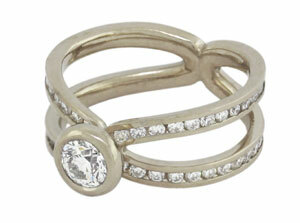 357 ROUND DIAMONDS 10.13 cts. 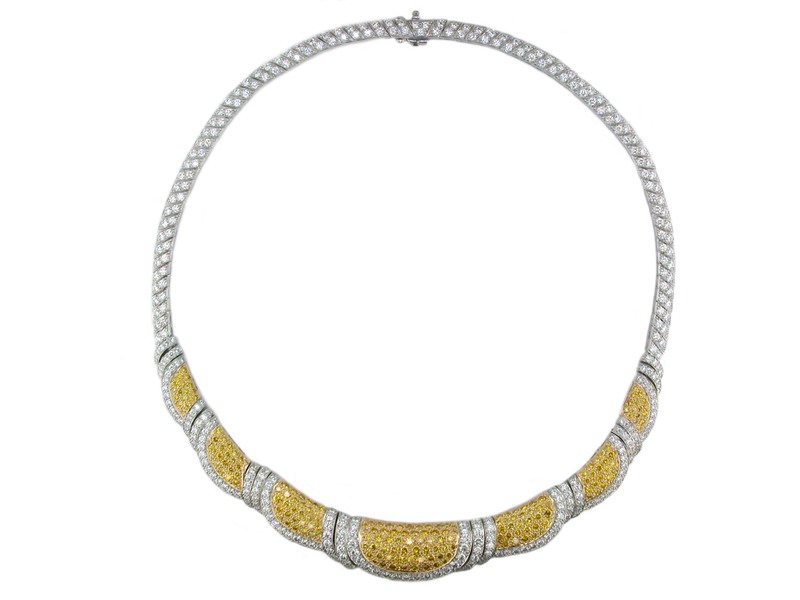 Last but certainly not least, a Yummy gold and platinum fancy diamond necklace which can be purchased here. Although this is just the tip, actually a snow flake of their vast selection of unique pieces, I certainly hope all these have peaked your interest to at least visit their site and look into them. Women, should they propose or not? 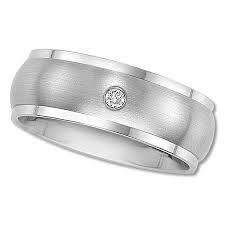 I’m not sure if its only me but, why is it that women don’t initiate the engagement to be married with a diamond ring tailored for their men? Why do men on tradition and generally make the proposal? As tradition stands, it is the woman who takes on the role on finally deciding between the union of the two. The man initiates the request and leaves the final decision up to her. However, although it is only symbolic, we generally know it is women who call the shots. With this in mind, I have always wondered why women don’t bother asking. Since the woman is already the one who makes the decision, why shouldn’t she initiate the request to take her hand in marriage? Women already take on many other roles which were at one time or another considered non- traditional. There has also been many women who have fought tooth and nail, shed blood, and have been side by side with men in wars. I know I may receive a lot of flack from serious opposition on this matter since we’re so hinged on tradition. 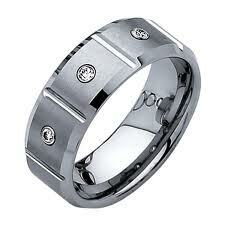 But the fact is that today fancy colored diamond men’s rings have begun to attract a lot of attention. Below are a few select examples. I deal with hundreds of male customers who are preparing for the most important moment of their lives, but it is usually for the women’s engagement ring. I can’t help but wonder how rarely I hear from women looking to design the perfect men’s engagement ring, perhaps it should be the women presenting him with a diamond engagement ring? What do you think? Please feel free to leave your thoughts and comments. Ever wonder about diamonds and their color scales?? 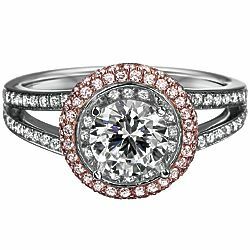 well a friend of mine a few weeks ago asked me for some advice regarding diamond engagement rings. I asked him what type of cut and clarity he was intereted in and he indicated his interest in a VVS1, cushion cut, canary yellow diamond for his wife to be. It look as if everyone was coveting and talking about fancy yellow and pink diamonds. Interestingly enough, these days many people want these diamonds but I am always astonished at how few people know about the color scale of white diamonds. Which is basic building block of jewelry connoisseurs my that cannot be overlooked. White diamonds fall in a D to Z color range with D being the most colorless and Z having the most color. Z colored diamonds are obviously more yellowish or greyish to the naked eye such as the image below, but keep in mind that such diamonds are not considered fancy colors. Fancy colored diamonds are those that have a more vivid color than Z and have their own color scale. D color is the most coveted on the color scale because it is considered the purest and most crisp diamond color for a white diamond. Diamonds in the D-J color range look white from their face-up position. One can detect yellow in the G-J color range only face down (with the pointed end, called the culet, facing up) looking through the pavilion (looking at a perpendicularly through the longest edge of the diamond). K, L and M diamonds are yellow or grey face up and face down; any diamond color below M is unmistakably not white. With this in mind, I advised my friend the engagement ring buyer that it is always wise to go for the highest color that your budget allows for without sacrificing the size you have your heart set on. Its often that I see so many of the celebrity engagement rings, the 20 carat + whoppers, which are H-J colored and it always boggles my mind and makes me wonder why they didn’t just go for a stunning 5 carat D flawless? There is nothing wrong with H-J colored diamonds mind you, but if it’s within your budget, who in their right mind would want 20 mediocre carats when you can have 5 pristine carats of diamond for the same price? Warped priorities make for bad investments. 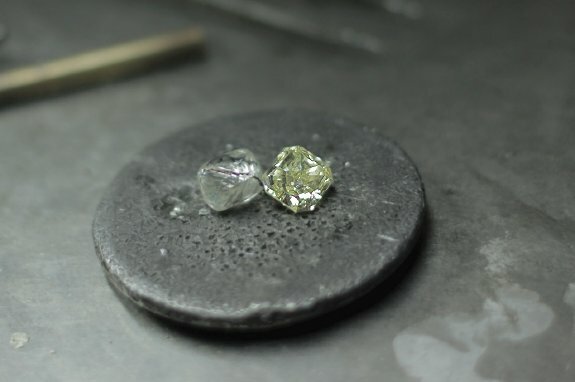 Since my friend was looking to simulate the look of a yellow diamond on a restricted budget, I advised him to look for an X, Y or Z color but make sure the clarity is VS1 or better. SSHHH!! It’s a sneaky little loop-hole, I know ;-). 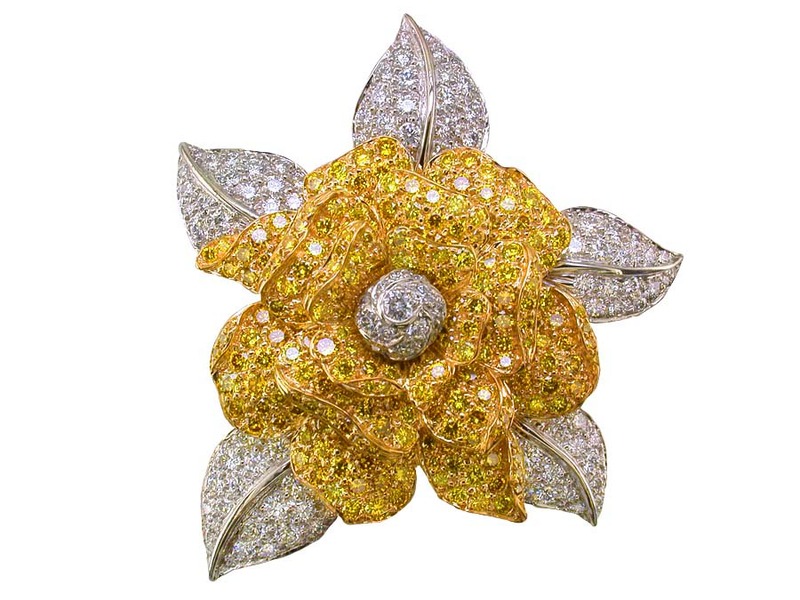 Essentially, you are buying a diamond that looks yellow to the naked eye and if you have an excellent jeweler (which you should), he or she can make it look more vivid yellow with a clever setting thus giving you the look of a fancy colored diamond for considerably less. Keep in mind though that an X, Y or Z color is not a fancy colored diamond so while it may look marvelous after it’s set, it is not going to retain value as well as an actual fancy colored diamond. Why VS1 clarity or better? Because a diamond in the lower color ranges that also has poor clarity is just a shoddy diamond. If you are going to sacrifice color for an intended effect, you have to make up the difference in clarity and symmetry in order to retain some aspects of the diamond’s fire and brilliance, otherwise you’re just buying an unattractive diamond. Hope this was helpful to all of my engagement ring buyers out there.